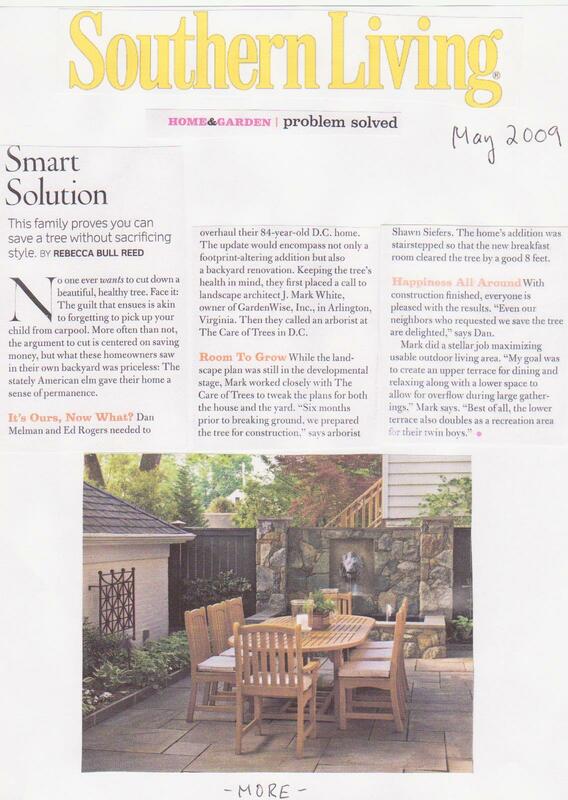 We’re re-posting this 2009 “Problem Solved” profile of one of our DC projects as it appeared in SOUTHERN LIVING magazine. We’ve worked with SOUTHERN LIVING on four profiles of four of our projects to date, and this was my favorite garden to shoot. It was a great project (with wonderful clients) that centered around an old tree that was to be saved at all costs. There may be homeowners right now considering the removal of older storm-damaged trees. If I could post a big red siren right now I would, instead I’ll use caps — OLDER TREES CAN AND MUST BE SAVED!!! Always remember that an older tree should be cherished, and can successfully be incorporated into any landscape design plan. Please read on! We’re always looking out for fun and simple family garden projects — last season we wrote about a fun Fall project centered on planting bulbs for Spring. Now you and your family can start your herb and vegetable garden indoors! 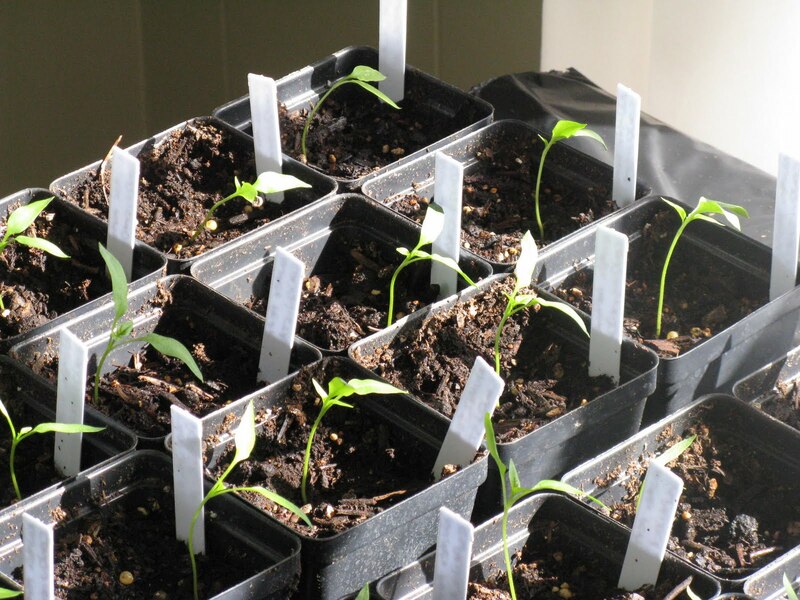 Yes, starting cool season seeds indoors is a great project for the whole family. Cool season herbs and vegetables can be started from seeds indoors over the next two weeks for planting outside in April and May. Each member of the family can be in charge of two or three vegetables/herbs, with an assigned space in the yard. Seeds you can grow indoors right now include lettuce, spinach, arugula, endive, onions and leeks. A second project for next month can include planting peas, radishes, and carrots, which should be sown directly into the soil in mid-to-late March. When Spring and Summer arrive, each family member can share herbs and veggies from their spot in the garden, and experience that wonderful sense of pride that goes hand in hand with gardening. 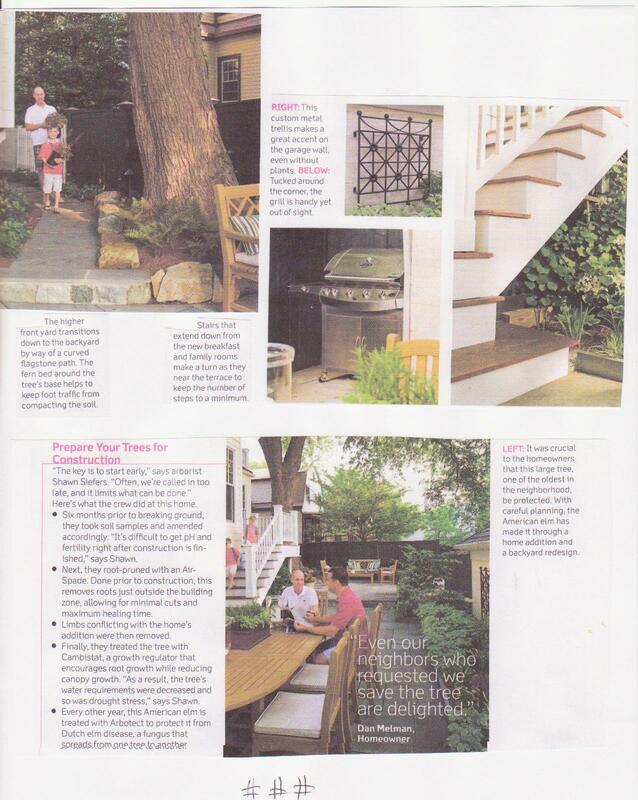 Southern Living Magazine on GardenWise Porches! Just what we all need, a better view of our gardens from our porch — or at least MORE of a garden view. Southern Living editor Todd Childs uses a GardenWise garden in a video feature on how to create an ideal indoor / outdoor living space while adding better garden views. This porch space shows off a relaxing and intimate area with white louvre shutters and chartreuse seat cushions and pillows. To make the most of the home’s garden spaces, we designed and installed a wrought iron and glass panel railing to allow for sweeping views of the rear gardens from the porch. The homeowners make this porch with its new garden views a daily retreat from their very busy lives. Does Your Garden Have Lovely Bones? Mid-Winter is a great time to take a close look at your garden to decide where you need to make some changes. 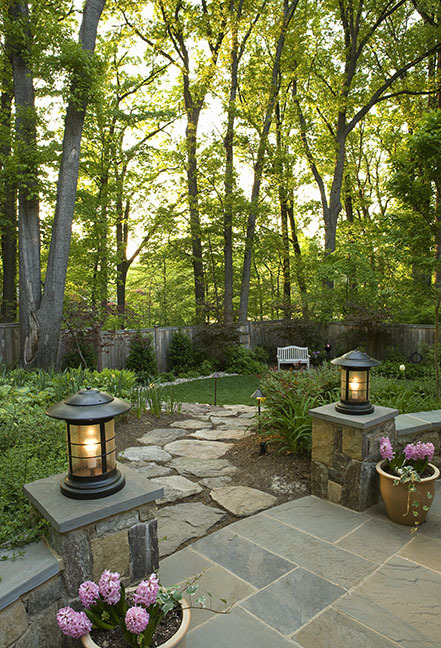 The most memorable garden spaces get character from their Lovely Bones — benches, containers and planters, water features, garden accents, stone work, sculptures, custom fences and gates, arbors/pergolas, terraces, patios, garden lighting, and edging around your plant beds. Many first time gardeners are often surprised (and discouraged) when they find their lovely and very expensive collection of plants are nothing more than too many lovely and expensive plants in a forgetable outdoor space. When you add a bench, some accents, a large rock, or a curving stone path to a large grouping of your beautiful plants, and some lighting, your garden will come to life! Spring is still far off, but if you take some time now to think about your garden’s bone structure now, your garden spaces will be truly memorable for spring and summer..